Cell phones. Water. Never the two should meet. That’s basic knowledge, but a new ad campaign from phone maker HTC suggested otherwise. 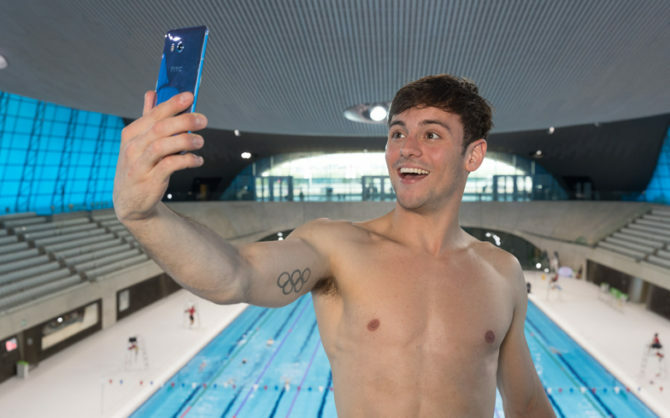 In the now-pulled spot, Olympian Tom Daley dove off the deep end with his HTC U11 phone in hand. The smartphone has been labeled water-resistant up to a depth of one meter, so it’s almost certainly a horrible idea to dive into a pool with one. But the best part of this story is HTC’s response after the issue was raised. They say nothing in the ad actually suggests that Tom brought the phone with him underwater… as he dove… into a pool. According to HTC, Tom could have “held the phone above his head” after plunging 33 feet into the water. Makes sense. 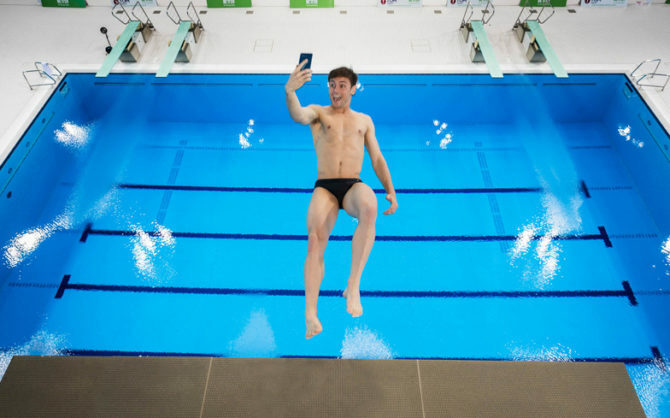 “While we acknowledged that a professional Olympic athlete such as Tom Daley would be able to dive from a 10-metre high diving board and keep within the 1m distance required, we considered it unlikely that a consumer attempting something similar would be able to avoid being submerged to a depth which did not exceed, even briefly, that measurement. “We are disappointed by the ASA ruling, but have removed the video from our sites,” an HTC spokesperson said. Ew Tom uses an android phone? You mean he’s a green bubble and not a blue bubble?! I’m sorry I just can’t with this! I’m kidding android people, put your pitchforks away. We dont need pitchforks, just facts. Android phones beat Apple in just about every category. We also have things on our phone you may get in 2 or 3 years. I personally like to think of it this way. Apple=Communism, Android=Free Market. We still love Apple users, just prefer better phones. Here’s an important category where Android doesn’t beat Apple, user value to developers. iPhone users spend more money on apps per user than Android. That’s why so many developers prefer iPhone to Android, so usually the best apps go to iPhone first then maybe to Android. And the #1 reason I still use iPhone, iOS upgrades, pure and simple, Apple supports my iPhone. Qlm’s response translated: iphone users are more liable to waste money on needless apps, so manufacturers advertisers rightly believe that they are much more gullible and will waste much more money on even more needless apps and products in the future. I agree with Larry. I too associate Apple phones with the left and Android with right wing politics. Trump would definitely use Android. The add was not deemed “inappropriate”. It was judged to be misleading. In the hunt for click-bait, Queerty yet again sinks to a new low. I assume he got paid, anyway… whatever phone he uses. The ad lied and got called out. These are the types of regulations Trump and the GOP want to get rid of. “Was Deemed Inappropriate” Ha! It’s just too bad the ASA isn’t checking out misleading headlines.